It's been a while since my last review! 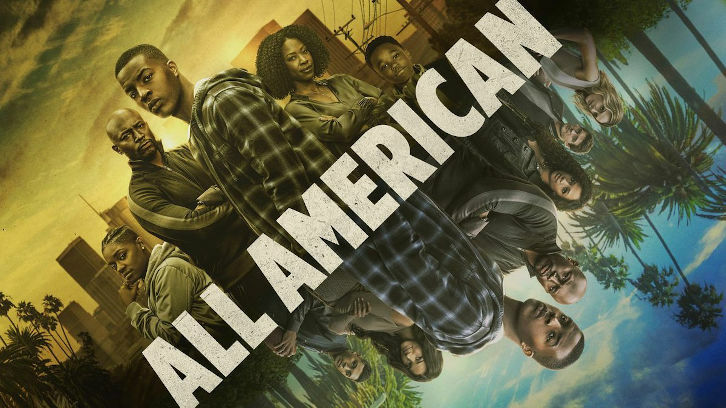 We finally have a new episode this week of All American, but first we need to review what happened on "Homecoming." Everyone's still trying to process what happened at the Homecoming dance, and Spencer and Dillon watch the video of Asher telling everyone about his affair with Olivia. Spencer thinks that all of this mess is his fault, and Dillon points out that Asher would still have a girlfriend if it wasn't for him. Luckily, Grace is more helpful than Dillon, and advises her son that he is not responsible for other people's choices. Jordan comes home, and Olivia can tell that he's high. Billy catches Jordan coming in, and Jordan finally tells his dad how he feels. He's always trying to please him, and he finally decided to let loose and had a great night. Billy warns Jordan that his girlfriend doesn't care that he has a game. He needs to figure out what's important to him. Coach Baker debates suspending Asher. He knows that if they lose without Asher then he'll get fired. But if he gives in and lets Asher play, what message is he sending? I agree that it's a touch choice, but I do think Asher should have been suspended for his behavior. Actions have consequences. Leila and Olivia talk and try to figure out where they stand. Leila is still angry; she gets that Olivia was high when she was with Asher, but she shouldn't have kept it a secret. Leila's hurt that Olivia made it seem like she didn't want to be friends, and she let her stay with a guy who cheated on her. But she admits that Olivia was right about not being able to admit she liked Spencer. I know that these two still have issues that need to be resolved, but I'm glad they talked and maybe one day they can be friends again. 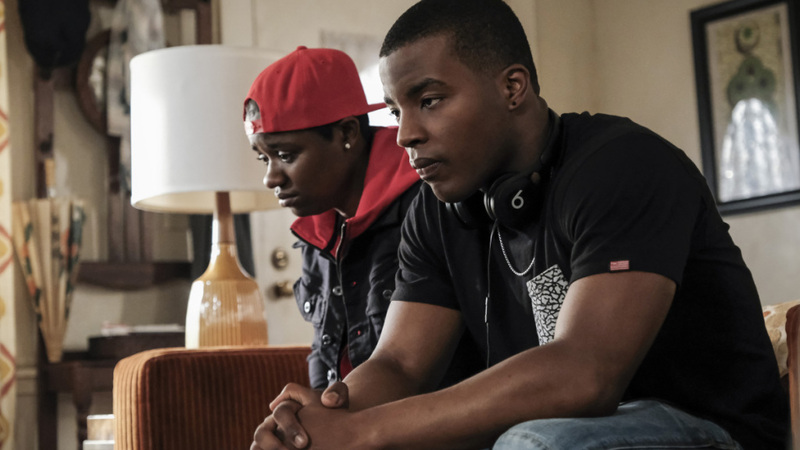 Elsewhere, Shawn tells Tyrone he is moving to Louisiana to have a fresh start. He gives Tyronne a large amount of cash, and Tyronne accepts the deal. Shawn calls Coop to tell him the good news about getting out of the gang, but his celebration is short lived. One of the other gang members pulls out a gun and shoots him. Unfortunately he doesn't make it. Coop is obviously very upset, and Spencer tries to comfort her. He's going to help her through this. The homecoming game begins, and Spencer's still upset over what happened to Shawn. Olivia and Chris are also at the game, and Chris, while he knew Shawn, wants to have a good time and cheer on the Beverly High Eagles with Olivia. During the first half of the game everything goes wrong for Beverly, and it's clear the Dolphins have their plays. Jordan panics, but Coach Baker has an idea. Coach asks Spencer to draw up his three favorite plays from Crenshaw and teach Jordan. With Chris’s help the plan works and Beverly scores right away. They play great in the second half, and it all comes down to one play. Spencer throws it to Jordan, and he scores. Beverly wins! I loved that they were able to come together and figure out a way to win, and I love that Chris helped. I'm glad Chris and Spencer put their differences aside and decided that they're family. After the game Jordan and Asher talk, and Jordan angrily tells him that they're going to have to create a whole new playbook. Then he realizes Asher was the one who gave their playbook to the other team. Jordan says he's going to be kicked off the team once he tells his dad. Back at home, Asher's father tells him that it's best if he goes to stay with his mom for a while. This obviously doesn't make Asher happy, but maybe it is for the best. I don't necessarily think Asher is a bad person, but he has done bad things. Maybe time away from football and Beverly will help him become a better person. Leila goes over to Spencer's house after the game, and they talk. And then they end up sleeping together. They both reveal they want to be more than friends so I guess they are officially a couple. I'm not a huge fan of these two together, but I can't figure out why. It doesn't really matter though because it looks like this is the direction the show is going, at least for now. 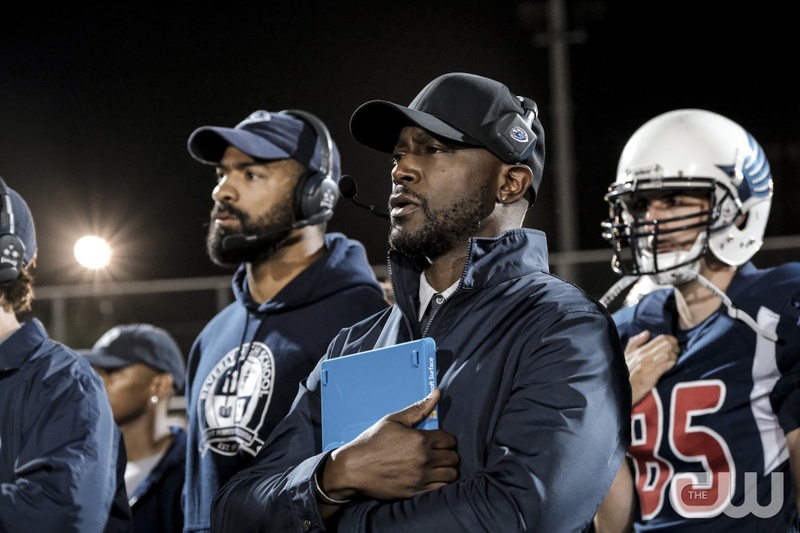 At the end of the episode the players and Coach Baker get called into the school. Someone called in an anonymous tip about one of the players violating the drug policy so everyone has to get tested. Jordan asks his dad what will happen if a player fails, and his dad tells him that player would be suspended from the playoffs. Jordan admits that he's going to fail. Coach Baker waits until no one is watching and switches Jordan's sample. I have huge issues with this. First, it had to be Jordan's girlfriend that told, right? Wasn't she the only one that new Jordan was high (besides Olivia)? That was a really awful thing to do, and I can't figure out why she would turn him in. Second, Coach Baker suspended Asher for his behavior, but he's going to cover for his son? I understand that Jordan is his son and suspending Jordan would basically mean the team can't win, but it makes Coach Baker kind of a hypocrite. If you're going to suspend one player, I think you have to suspend Jordan, too. I can't help but wonder what's going to happen especially if someone finds out Coach switched the samples. Remember earlier when I wrote that actions have consequences? This applies here, too. - It doesn't look like Coop is going to be free anytime soon. When she was at Shawn's memorial, it looked like Tyrone still wants her in his life. So I guess we will see where this goes, but I don't like this. Tyrone is a bad guy, and he's not like Shawn. If Coop gets involved with Tyrone and his gang, I don't see a way out for her. - The coach of the other team approaches Spencer in at school and tells him he knew his dad, and Corey wouldn't leave unless he had a reason. He implies that Coach Baker was the reason why he left. I really wish the show would tell us what happened between Spencer's dad and Coach Baker. I still think Dillon is Coach's son, but I would love to know if I'm right or wrong. What did you think of "Homecoming"? Are you happy that Leila and Spencer are a couple? What do you think will happen to Coop after Shawn's death? And do you think Coach was wrong to bail Jordan out like that? I can't wait to find out what happens next. Don't forget to watch the next episode of All American which airs Wednesday, January 15 at 9 P.M.